Toast sliced brioche and cool slightly. Spread evenly with Avocado Cream Cheese Frosting. 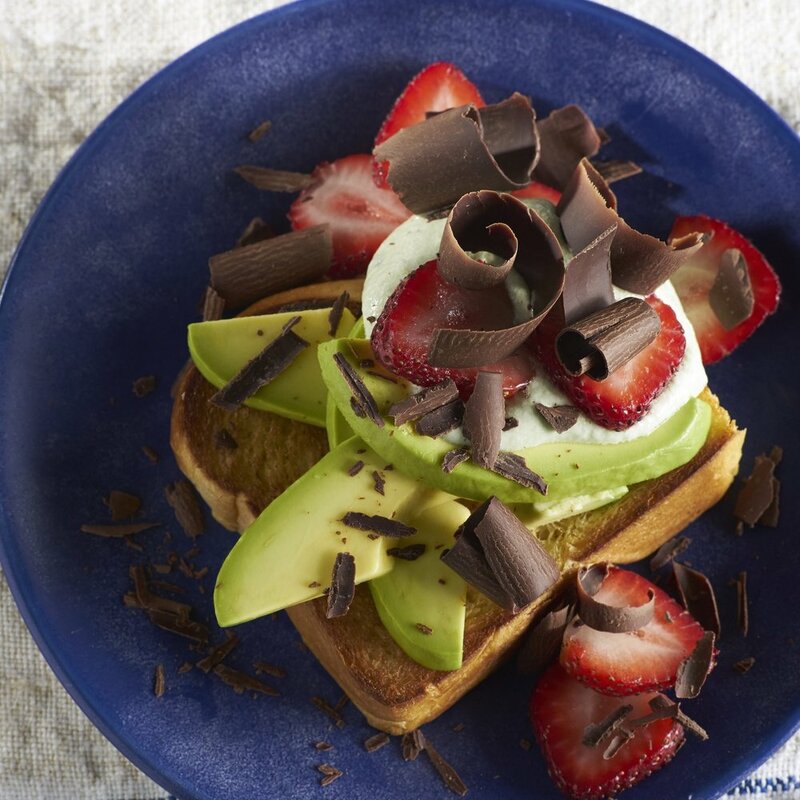 Top with avocado slices, dark chocolate shavings, and fresh sliced strawberries. Add salt and peeled, pitted and pureed Avocados From Mexico and mix on low speed just until avocado and sugar are fully combined.